AMAZING AGE #1, ADAM WRECK #1, CROAK #1, AND LILITH DARK #1 have all sold out at the distributor level before even hitting store shelves. 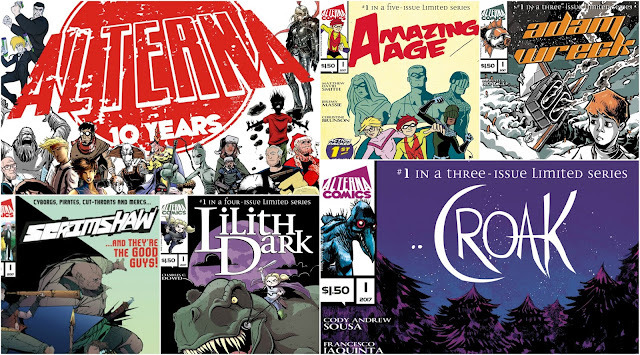 Despite ordering a 25% larger print run, a surge in demand for the debut titles of Alterna's newsprint line (sporting cover prices of $1.50 each) have yielded sold out print runs across the board. Alterna will be going back to press pending demand from retailers once the books hit shelves on May 3rd. 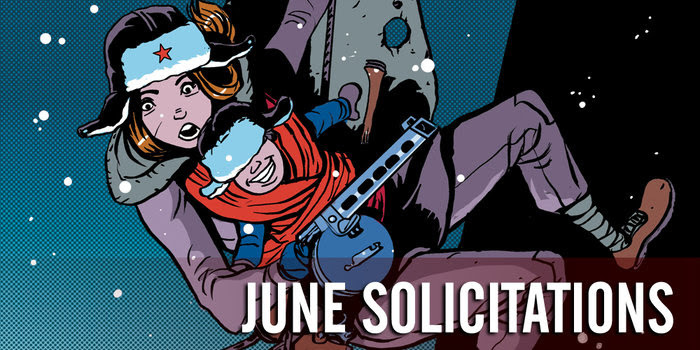 Alterna also has four other titles currently in Diamond's April Previews catalog, for release in June. 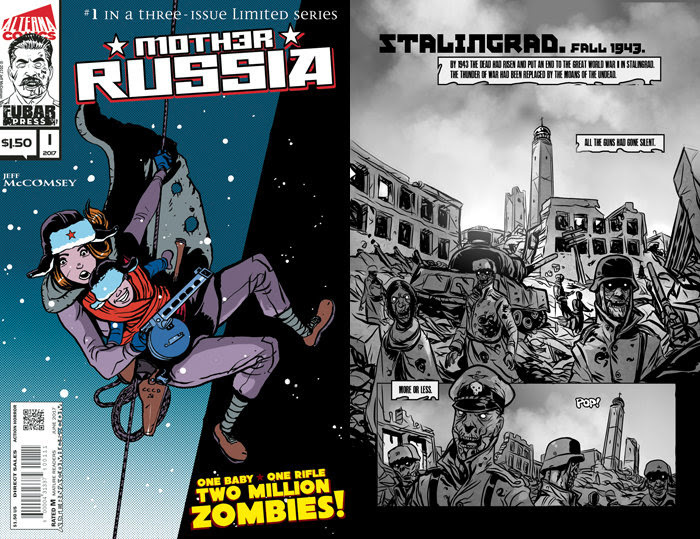 MOTHER RUSSIA #1, TRESPASSER #1, and SCRIMSHAW #1 will all sport $1.50 cover prices -- and THE CHAIR #1 will be priced at $1.00. 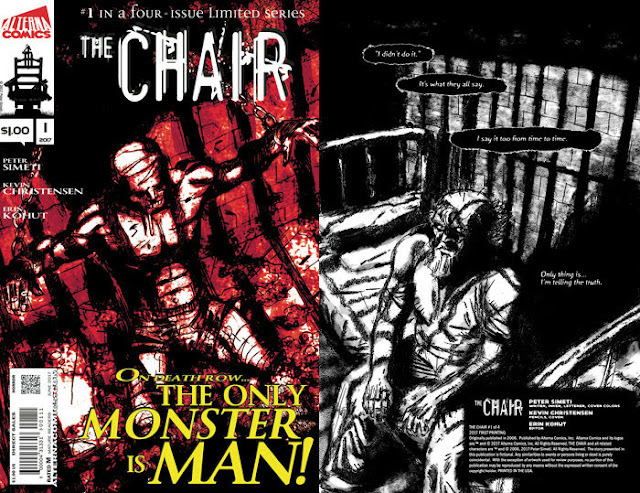 These titles will all be printed on newsprint with a semi-gloss cover stock and most will be in full color. 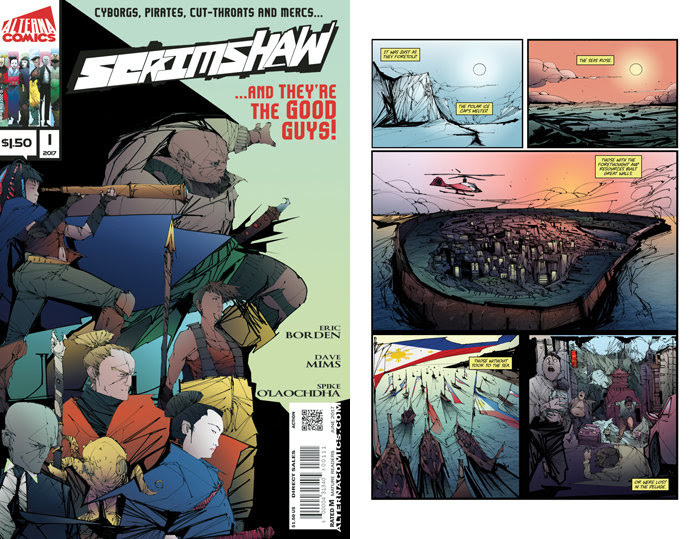 With the exception of the SCRIMSHAW series, all other titles are a mini-series of 3 to 5 issues. When we are young, our parents tell us that there is nothing that goes bump in the night. The terrifying monsters that live in our bedrooms are apparently just "figments of our imagination." Our eyes playing tricks on us. They tell us that the Boogeyman doesn't exist. That there is nothing under our beds or lurking in the shadows of our closets. There's only one problem. They Lied. One baby. One rifle. Two million zombies! As a zombie apocalypse breaks out in WWII, a Soviet sniper risks her life to protect an innocent baby boy. 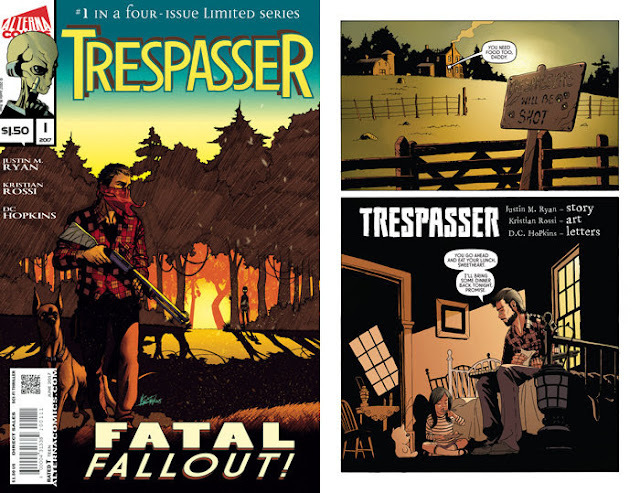 Created by New York Times-bestselling author and artist Jeff McComsey. 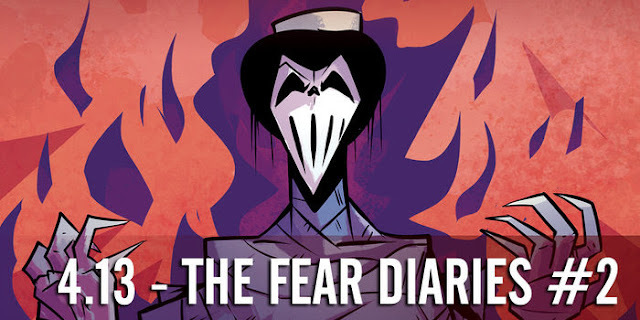 Now on newsprint! With the planet ravaged by war, ruthless corporations have the world's governments in their pockets. Faced with impossible odds, Captain Hans Tanaka and the rest of the crew of the Runaway Horse have been branded as pirates, cut-throats, mercs... and the good guys! Printed on newsprint! Richard Sullivan has spent ten years on death row for a crime he claims he never committed. But lately, inmates are being brutally murdered by the Warden and his guards. Will Sullivan escape before it's too late? Now a motion picture starring the legendary Roddy Piper. Printed on newsprint! After a devastating war ruins the air and food supply for most of the world, Hector and his daughter Maria struggle to survive. But when a strange visitor crash lands in the forest, Hector will go to unspeakable lengths to protect his child. Printed on newsprint! 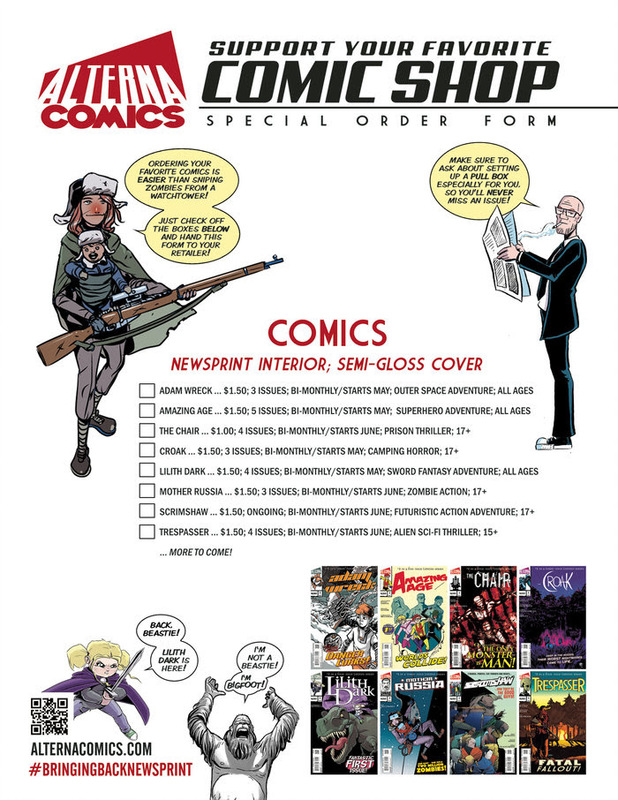 Advertise in Alterna's Newsprint Line! Place any combination of ads in 3 or more books and get a 10% discount on your total! Advertise in 10 or more books and get a 20% discount.